The Manitoba Community Emergency Preparedness Award recognizes the dedicated efforts and successes of communities as they work to protect their resident's safety and health, the environment, property and the economic stability of their municipalities. The levels are modeled on Canadian and International best practices and standards. 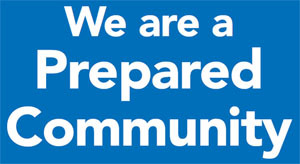 A community should seek to progressively develop its emergency preparedness program beyond what is mandated to reach higher levels of achievement. Awards will be presented annually. This year, the award will be presented during the Association of Manitoba Municipalities Municipal Officials Seminar in April 2019. In addition, a news release will be issued by the Minister responsible for The Manitoba Emergency Measures Organization naming the communities being presented with an award. French award applications are available upon request.